75 km southeast of Kuopio, lake Savenkaita 15 m (length 1.6 km, width 500 m), shallow, sand bottom, gently deepening, rowing boat. 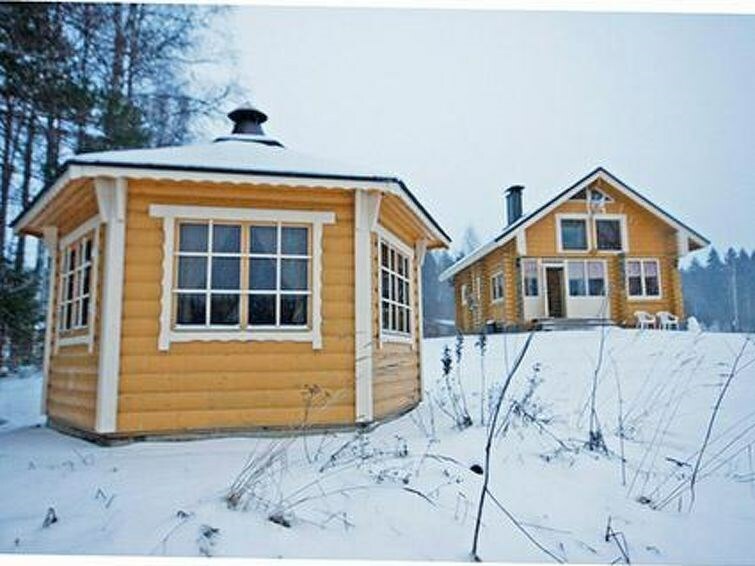 Round logs cabin, built 2011, livingroom/kitchen, sleeping loft with 3 beds, bathroom with shower cubicle, sauna with wood heated stove, glass terrace. Access to sauna through terrace. Stepladders to loft, no sight from the loft down. Spacious grassy yard, grill hut on shore. Savenkaita is beautiful lake with swans, and flowers on shore. In winter an excellent ice fishing lake. Hunting opportunities (owner gives more information). 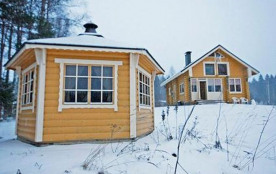 Owner charges 25e for pets (no more than 2 pets allowed). Security deposit 150 e by cash to the owner on arrival. Karvio rapids 30 km, Valamo monastery 35 km, Lintula nunnery 15 km, Seinävuori gorge 35 km, Tuusniemi 30 km, Maarianvaara 60 km, Kuopio Airport 63 km.